View from south end of Middle Fork road from Silverjack Reservoir, taken a couple hundred feet south of trailhead, looking back northwest. 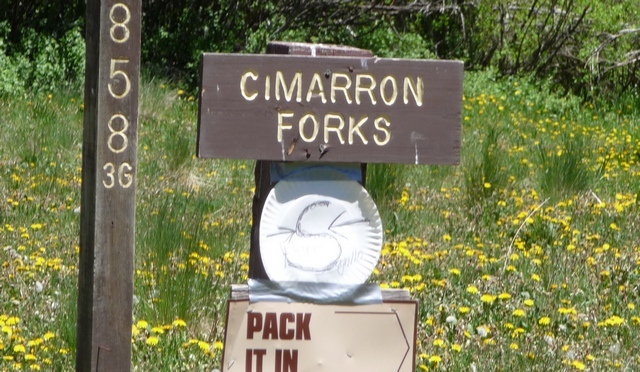 Sign for Cimarron Forks campground, easily visible from the main road. This campground is the jumping off point for a large double-track trail complex. Sign at Trailhead for Forest Service Trail 227. This sign is reached from the Cimarron Forks campsite. Travel into the campsite, make the loop counter-clockwise, and the trail is about 2/3 of the way around, heading west. To get the really good views, you've got to leave the main road! 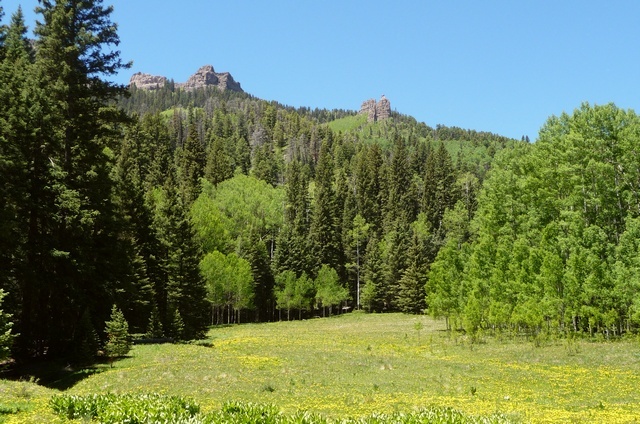 This view is from the Forest Service Trail 227 double-track (ATV) trail, looking west. 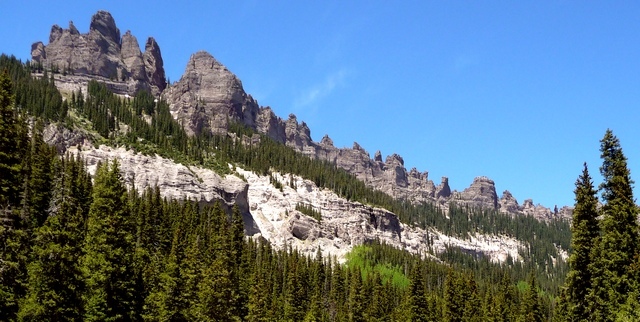 This thumbnail is taken from FS 227, and is a 180-degree panorama. Click on the picture for a bigger view. Left of photo is north, middle is east, right is south. Motorcycle and me at south end of Middle Fork Road, Cimarron River. 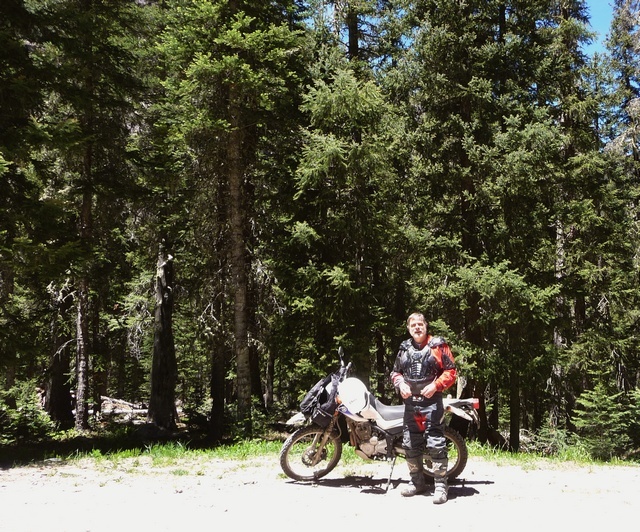 This entry was posted in GPS Tracks, Gunnison County, Motorcycling and tagged Colorado, dirt bikes, gunnison county, motorcycling, silverjack reservoir. Bookmark the permalink.